PT Brantas Abipraya (Persero) - PTBA or known as "Brantas Abipraya" a well-established state-owned company in Indonesia, running business in the field of engineering and construction company in Indonesia. The Company has core competencies in construction projects related to water infrastucture. Its construction projects include dams and weir, tunnel work, road and bridges, irrigations and river improvement, dredging and reclamation, and manufacturing landscape. PT Brantas Abipraya (Persero) is a non-listed state-owned company and is 100% owned by the Government of Indonesia. The Company was established in 1980 as an expansion result of Project Brantas river, the development project of Brantas river basin in the East Java province. 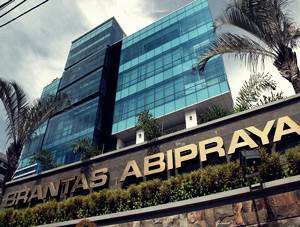 Based in Jakarta, Brantas Abipraya now has 4 division offices and 5 regional offices throughout Indonesia. In term of financial position, PT Brantas Abipraya (Persero) was able to perform well and achieved positive financial performance in 2014. The State-owned Construction Company booked total revenue of Rp 2,280.6 billion in 2014 or rises 58.23% from Rp1,441.25 billion in 2013. The Company's net profit in 2014 jumped 24.72% to Rp 90.8 billion higher than the net profit recorded in 2013 of Rp 72.8 billion. This figures above was quoted by JobsCDC.com from the Indonesian State-Owned Enterprises Company Profile 2014 issued by the Ministry of State-Owned Enterprises. Maximum age of 3o years old. Minimum D3 Informatics Engineering with GPA min. 3.00 within 4.00 scales. Minimum 3 years of experience as a web programmer. Mastering OOP with PHP Programming. Mastering Database MySQL / PostgreSQL. Mastering PHP Framework (YII2 / CodeIgniter / laravel / Zend). Honest, diligent, thorough, innovative and communicative and able to work in a team. Have extensive knowledge of the latest information technology and able to work in the target. Strong understand about the concepts of OOP Programming. Strong understand about the concept of UML. Strong understand about the concept of Networking. Possess expertise certification in Information Technology. JobsCDC.com now available on android device. Download now on Google Play here. Please be aware of recruitment fraud. The entire stage of this selection process is free of charge. PT Brantas Abipraya (Persero) - Recruitment Web Programmer Brantas Abipraya November 2016 will never ask for fees or upfront payments for any purposes during the recruitment process such as transportation and accommodation.